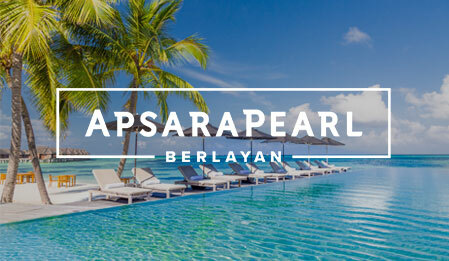 ApsaraPearl was founded in 2013 as an Indonesian Company dedicated to exceptional products, hospitality and services associated with its home, the beautiful farming island of Sumbawa in the province of Nusa Tenggara Barat. While we have offices in Jakarta and Bali, our home is Sumbawa Besar, beside the sparkling sea of Flores and in sight of the great Mt Tambora. We’re in the business of making great food, delivering outstanding hospitality options and being a construction leader. We focus on producing the best products by setting exceptional standards, applying the latest technical know-how and end-to-end quality control. We also hire great people to serve our customers. Our business is structured along three lines. We own & raise herds of organic style beef cattle on our beautiful sea facing Sumbawa farm. All our animals are naturally grass fed and 100% non GMO. 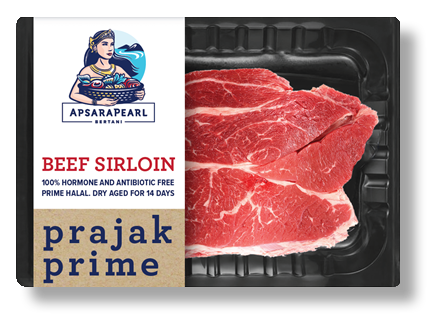 Our meat is processed by us and is certified halal. We cut western style with our onsite international butcher team - rib roasts, steaks and specialty cuts. We specialize in 14-180 day dry aging and we careful vacuum-pack for shipment. All our beef is fresh chilled and exceptional. We never, ever, freeze our meat. Freezing is the enemy of flavour. Sumbawa pasture fed beef is renowned for its rich, full flavour with just the right amount of marbling. We start with natural farming practices and humane raising standards. Our free roaming cattle lead a natural life in a stress-free environment refreshed by the sea air of our island. They are free of added growth hormones or unnecessary use of antibiotics. We respect them, the natural resources that we depend upon and each other. Our partner farmers are handpicked based on their strong focus on genetics, continuous improvement in meat quality and growing animals the right way – without shortcuts. Our team of expert graders and butchers produce the ultimate in Indonesia’s grass-fed, dry aged beef. All our produce is consistent and 100% traceable. We also source quantities of premium Barramundi from our small marine farm and premium spiny lobsters from local fishermen operating nearby in the beautiful waters of Teluk Saleh & Moyo Island. 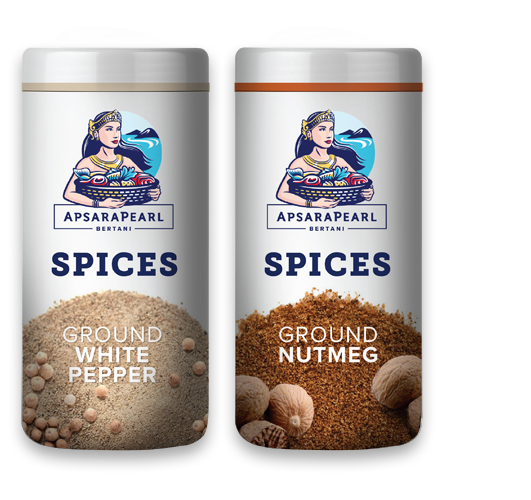 Finally, ApsaraPearl crops traditional Indonesian white pepper and a range of spice & fruit products from our onsite Nutmeg Orchards. We distribute to select customers in upscale retail & restaurants in Jakarta & across Indonesia. We also ship directly to premium shoppers via e-commerce. Indonesia continues to be an attractive destination for all types of travellers, business, leisure, eco and luxury, from within the region or across the globe. Our country has long built its reputation as a tourist destination with sandy beaches, treks, reasonably-priced accommodation, good food and friendly service. Increasingly well-developed transportation and communication infrastructure, modern retail centres, rich cultural and natural attractions help the republic be a leading location for hospitality. A 14-lodge luxury fishing retreat on our private waterfront beef, pepper & nutmeg farm opening early 2020. 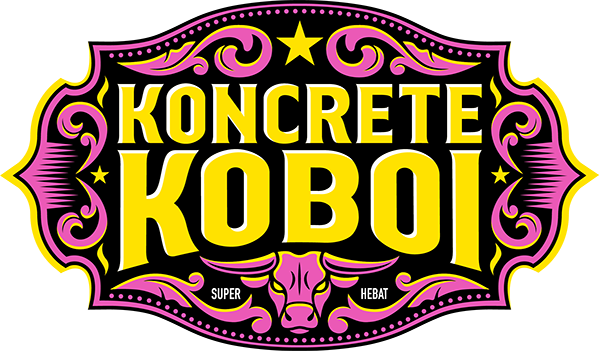 Koncrete Koboi is our fully owned subsidiary - now well on its way to being a leading supplier of quality, consistent cement In rapidily expanding Sumbawa. We service a wide range of construction projects with a new state of the art, cost efficient, cement batching plant. Our fleet of modern delivery vehicles, pumping systems, contractor tools and quick ordering app, for the first time, make it easy for builders to secure inexpensive cement – from the smallest farmyard project all the way to the largest of civil construction. We try to be a thoughtful employer and we treat our employees like family, with honesty, inclusiveness and compassion. To win with our customers and consumers, our associates have to revel at the leading edge of technology and our environment. Innovation is the hallmark of the ‘what and how’ we work. 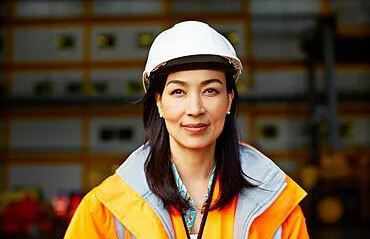 We each believe leadership exists in every one of our roles & in every one of our associates. We are proud that our people experiment, to be first, to solve the problems of our industry and to create innovative products. We genuinely seek to be a place where people actually like their work, feel connected to what we believe and the communities where we operate. We operate ethically and with honesty. Our goal is to do things right. Right by our customers. Right by our suppliers. Right by our family of employees. Right by our community in Sumbawa. Right by the Earth. The right way isn’t always the least cost way or the easy way, but it’s the only way we’re interested in. Lenny Rahayu, Head Of ApsaraPearl announced today the company had acquired 4 hectares of prime seafront property in Sumbawa Besar for its hotel construction project. 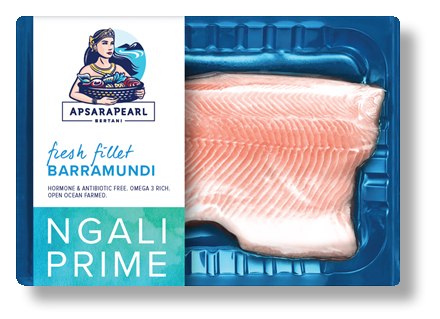 ApsaraPearl announced today it had received full unconditional approval for its principle operations on its ‘Bertani’ (Farming and Marine) business. 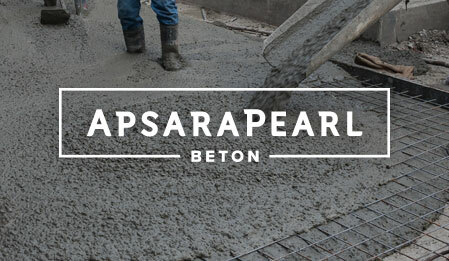 ApsaraPearl announced today it had submitted its applications for its Belayn and Beton investments covering Hospitality and Concrete divisions. ApsaraPearl announced today it had successfully reregistered its Bertani entity vis the Investment Board of NTB BKMPT. 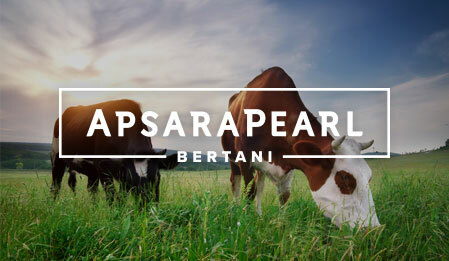 ApsaraPearl announced today it would be updating its corporate branding and sub-brands of Belayan and Bertani. 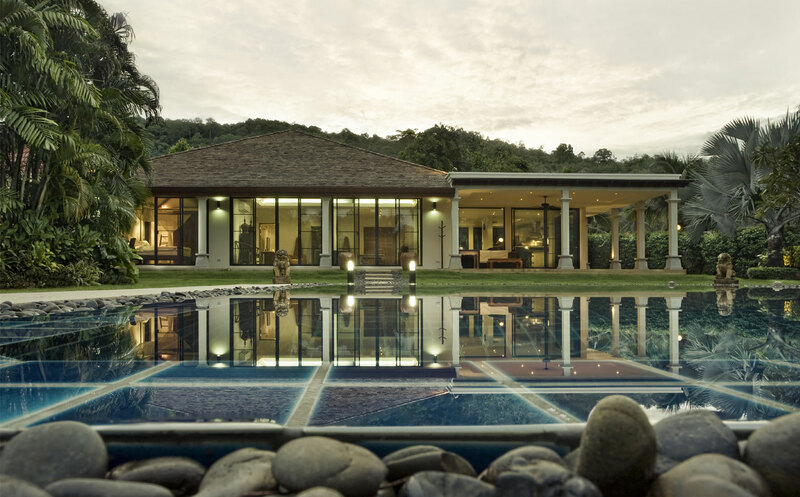 Michael Dunsire – Head of Operations reported today an agreement for a long-term lease for a new office for ApsaraPearl Operations in Sumbawa Besar. ApsaraPearl announced today it had received its principle operating permit for operations in Sumbawa. Tired Of The Traffic? Come Work On Our Beautiful Tropical Island. We are offering a lucrative package to a proven concrete sales person! Min. 5 years in Construction Industry. As technical sales specialist, you will have deep technical knowledge and sales skills in ready mix concrete in Indonesia (not just cement) and can sell, provide advice and support on ready-mix concrete to contractors, government departments and retail customers of varying skill. • search for clients who might benefit from Koboi ready mix concrete. • provide training and produce support material for other members of the sales team. Great role for dynamic, commercial & motivated young accountant. Professional qualification (eg. ACCA, ACA, CIMA or CPA). You must demonstrate a stable work history in Indonesia + minimum average time in the position of 3 years. At least 5 years accounting experience in a velocity industrial products environment. You will have transaction accounting experience, managing sales, inventory and production in an industrial environment. Management and (some) cost accounting experience is key. Hands-on understanding of Financial Systems and processes (eg. SAP, JDE etc) and how they affect financial results. Knowledgeable about legal and tax requirements in Indonesia. Excellent computer skills including Excel, Word, and Powerpoint. Owns day to day accounting, planning & tax of our Koncrete Koboi business. Prepares and analyzes balance sheets, income and loss statements, monthly closing & cost accounting reports and tax returns in an accurate and timely fashion. Delivers reports on time & implements good accounting control procedures. Develops cost reduction and revenue proposals. Independently resolves accounting discrepancies and ensures accurate and appropriate recording and analysis of entity transactions. Prepares special financial reports where needed by collecting, analyzing, and summarizing account information and trends. Articulates accounting policies to staff, vendors and clients. This Is A Hands-On Leadership Role. As incumbent, you are required to independently develop, align and deliver objectives. Can you challenge status quo and drive change? Do you have great people skill, effective negotiation and conflict resolution skills? Are you able to prioritize and work under pressure to deliver objectives in a timely manner?